Vertical displacement along the Enoch-graben-west fissure has damaged 3-year-old asphalt-concrete pavement in the Parkview subdivision; view is to the south. Tyler Knudsen is a Project Geologist with the UGS Geologic Hazards Program. He has a B.S. degree in Geology from the University of Utah and an M.S. degree in Geology from the University of Nevada, Las Vegas. 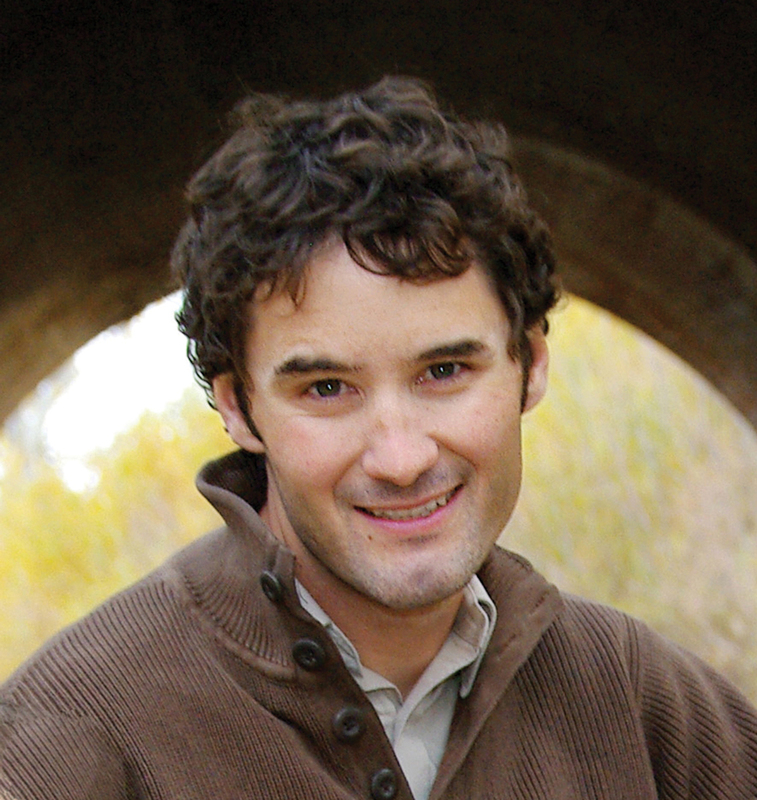 Since joining the UGS in 2006, Tyler’s work has focused on geologic-hazard mapping and paleoseismic studies in southwestern Utah. Paul Inkenbrandt graduated from the University of Southern Indiana with a B.S. degree in Geology in 2005. He went on to work for the Kentucky Geological Survey for a year, and then moved to Utah to attain an M.S. degree in Geology from Utah State University. 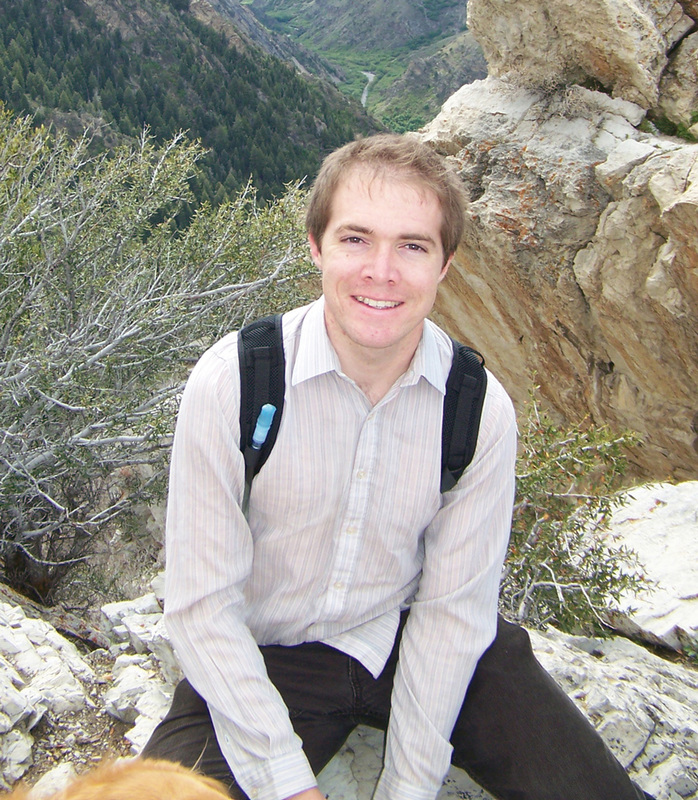 He completed his thesis on Cache Valley aquifers in fall 2010. He has been with the UGS Ground-Water and Paleontology Program since September 2009. 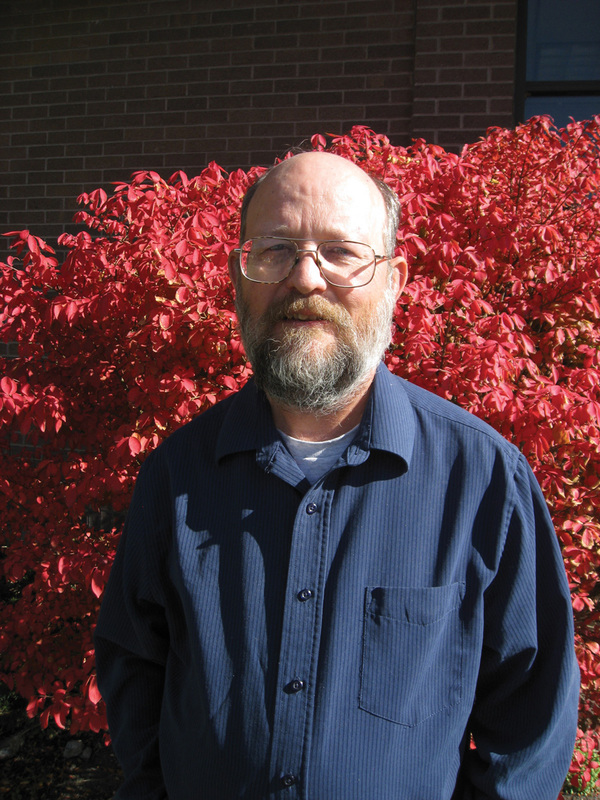 Mike Lowe has been with the UGS since 1989 and has been involved with geologic mapping projects, geologic-hazard assessments, and ground-water investigations. He is currently manager of the Ground-Water and Paleontology Program. 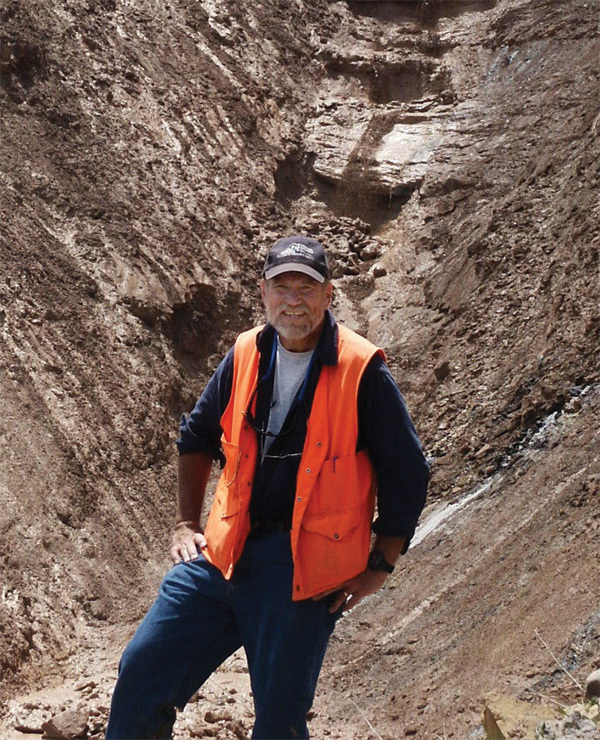 Prior to joining the UGS, he worked as a well-site geologist in the petroleum industry in Texas from 1981 to1982, and was County Geologist for Davis and Weber Counties from 1985 to 1989. 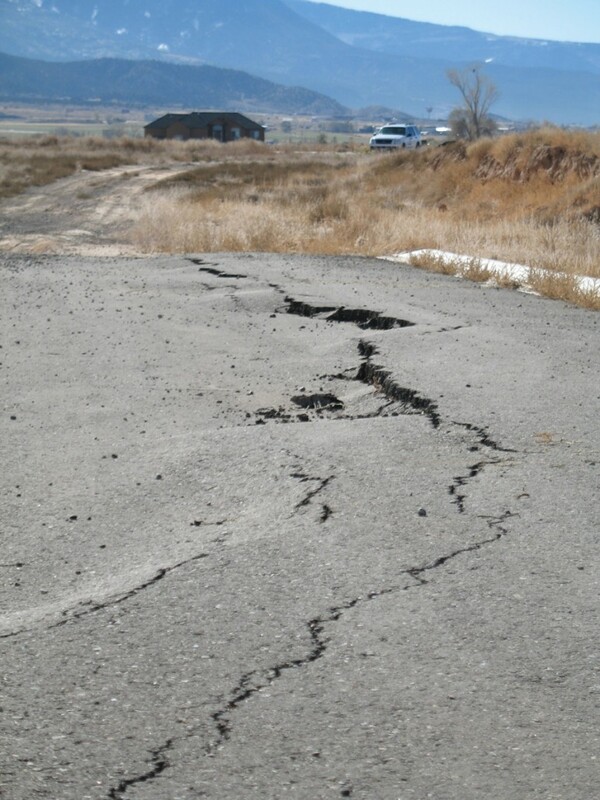 In May 2009, Enoch City contacted the Utah Geological Survey (UGS) to investigate a possible “fault” that was damaging streets, sidewalks, and curbs and gutters in a new subdivision in north Enoch. During a reconnaissance investigation, the UGS found a 2.4-mile-long earth fissure that had formed in response to land subsidence caused by ground-water overdraft of the local aquifer. In the affected subdivision, the fissure crosses several undeveloped lots, and in addition to damaging streets and sidewalks, vertical displacement across the fissure has reversed the flow direction of a sewer line so that it is no longer possible to gravity-drain sewage effluent from the subdivision. The likely relation of the fissure to groundwater pumping was communicated to Enoch City, the Utah Division of Water Rights, Iron County, and the Central Iron County Water Conservancy District (CICWCD). The CICWCD subsequently funded the UGS to conduct a detailed investigation of the Enoch earth fissure, and to determine if land subsidence and earth fissures were affecting other areas in Cedar Valley. Although earth fissures have been documented in the rural Escalante Desert, the discovery of the Enoch fissure is significant because it is the first one in Utah that has encroached into a developing area. In other western states, land subsidence and earth fissures have caused hundreds of millions of dollars in damage to buildings, roads, bridges, railroads, utilities, well casings, dams, canals, and other infrastructure. Our investigation focused on an evaluation of water-table decline and the distribution, thickness, and texture of basin-fill deposits in Cedar Valley—these are all critical components to land subsidence and fissure formation in the arid southwestern United States. A comparison of historical water-level data with new UGS measurements shows that ground-water discharge in excess of recharge since 1939 has lowered the ground-water surface in Cedar Valley by as much as 114 feet. Using nearly 300 well drillers’ logs, we produced a map and simplified cross sections of Cedar Valley’s basin-fill sediments that show a high percentage of fine-grained material (chiefly clay) that is particularly prone to compaction upon dewatering. High-precision Global Positioning System (GPS) surveying of benchmark elevations indicates that more than 110 square miles of the ground surface in Cedar Valley has subsided as much as 4 feet since 1950. In response to the land subsidence, at least 3.9 miles (total length) of earth fissures have formed in the western and northeastern parts of Cedar Valley. The Enoch-graben-west earth fissure is the longest (2.4 miles) fissure, and is the only fissure that exhibits vertical displacement. Significant fissure-related damage in Cedar Valley is currently limited to the partially developed Parkview subdivision in Enoch City; however, to the north the Enoch-graben-west fissure also trends through and has displaced the ground surface in a heavily used livestock pasture/feeding area creating a potential for ground-water contamination. Aerial photographs show that the Enoch-graben-west fissure began forming more than 50 years ago, and that the fissure grew approximately 900 feet to the south between 1997 and 2006. The main developed area of Enoch City lies approximately 1000 feet south of the current fissure tip. Additionally, linear features of unknown origin observed on aerial photos and the presence of an isolated sinkhole south of State Route 56 are generally along trend with the earth fissures west of Quichapa Lake, and may indicate the possibility of a more extensive zone of fissuring on the west side of Cedar Valley. Our investigation results show that the maximum amount of land subsidence and earth fissure formation in Cedar Valley coincide with areas of significant ground-water-level decline and the presence of compressible fine-grained sediment in the subsurface. We conclude that long-term ground-water pumping in excess of recharge is the cause of the land subsidence and earth fissures in Cedar Valley. If ground-water levels in Cedar Valley continue to decline 3 feet per year (current average rate of decline), average basin-wide subsidence will likely continue at a rate of 0.04 to 2.4 inches per year. Continuedground-water overdraft and resultant subsidence will likely cause existing fissures to lengthen and new fissures to form that may eventually impact developed neighborhoods in Cedar Valley. Additionally, earth fissures could provide a direct path for contaminated surface water to reach the Cedar Valley aquifer, which is a major source of culinary water. Based on the results of our study, the CICWCD has provided additional funding for the UGS to prepare suggested policy recommendations for managing the Cedar Valley aquifer to prevent future subsidence and fissure formation, and for preventing additional infrastructure damage in existing subsidence areas where fissures either have formed or may form in the future.